I love maps. I sometimes even wonder myself how it is I can look at a map for so long. But what I see versus what others see might explain this quirk. While some see white, yellow, red lines, crisscrossing a page, I see opportunities, adventure, danger. I can ‘read’ a map of a small area for an hour if I’m heading that way on my bike. 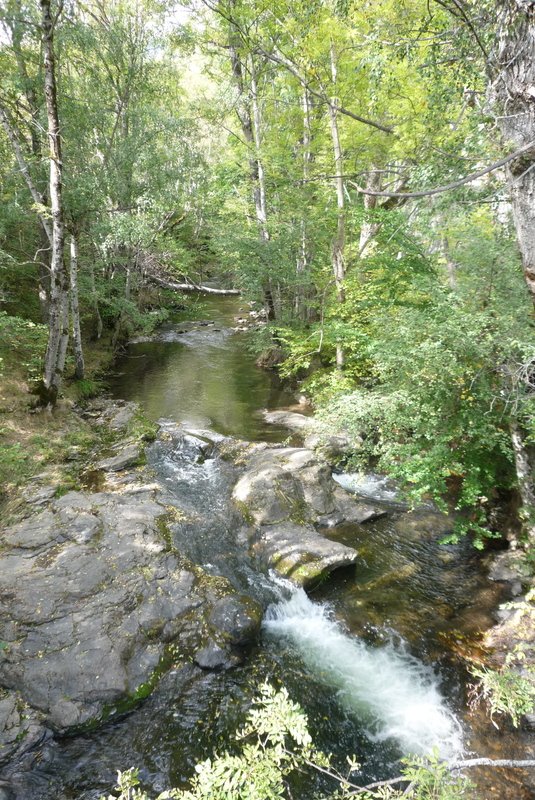 And this is how the other day I started out following the Stevenson Trail, but ended up forging my own. But I’m getting too far ahead. 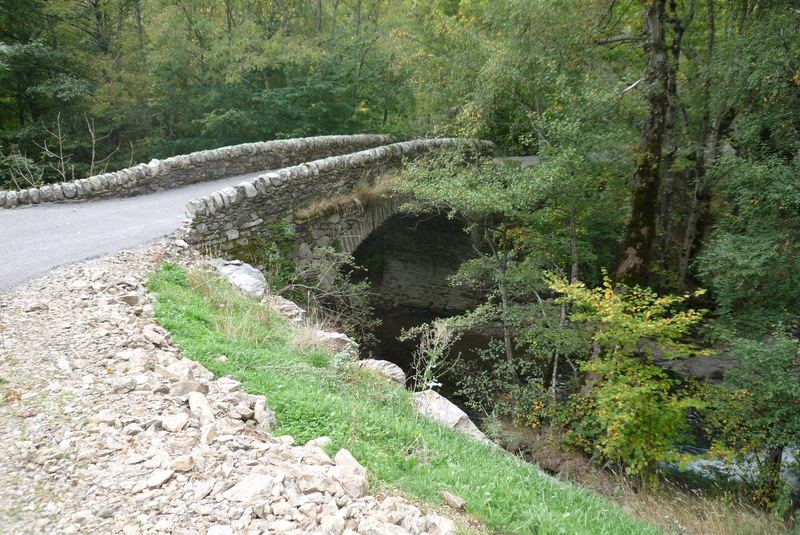 I had just finished reading Travels with a Donkey in the Cevennes , by Robert Louis Stevenson (Treasure Island, Dr. Jeckyll and Mr. Hyde) last week and got the idea to follow his footsteps on the bike. 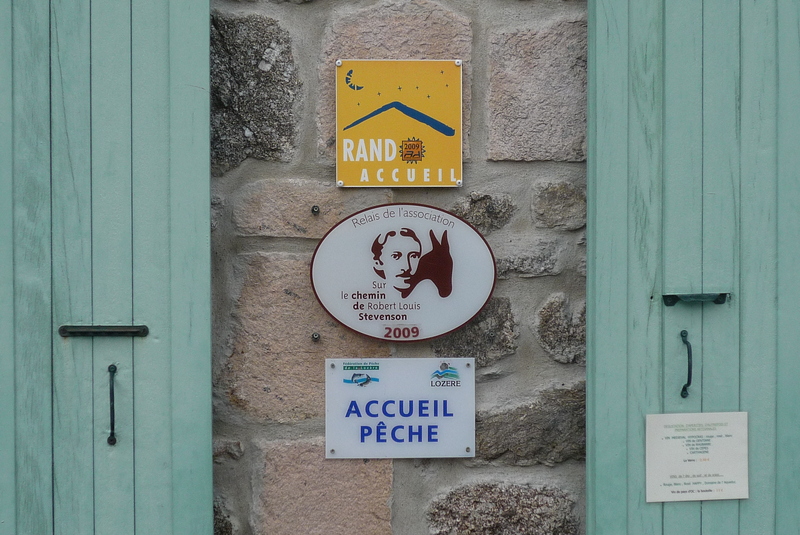 Probably not a very novel thought, since the path that he walked (with his demure donkey, Modestine) in 1878 is now one of the most popular long-distance hiking trails in France. But, thanks to paved roads (there were none of course when he was there, and the train had not even arrived yet) I could at least visit all the villages he passed through and commented on. And plus, this area is relatively unknown to me. So, I pulled out my Michelin #330 and started ‘reading’. 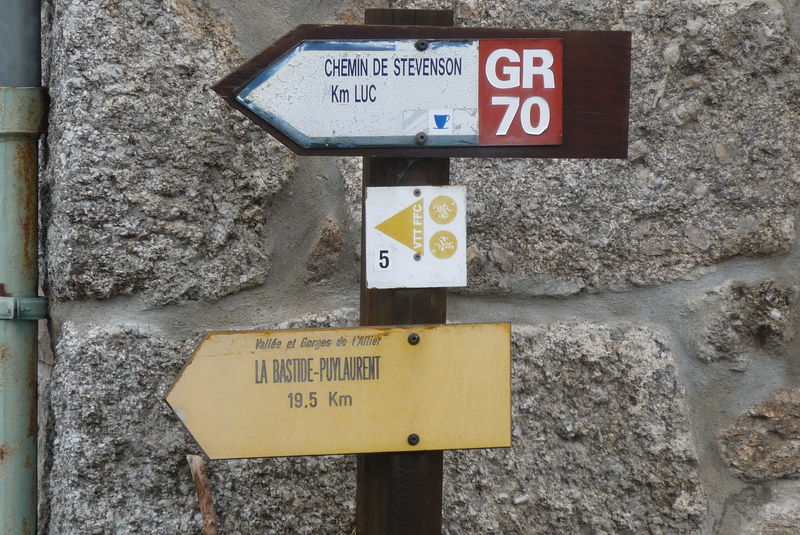 The whole route is quite long (nearly 300 km, I suspect), so I would take it in stages. I decided on Langogne as a starting point, since the train goes up that far. Stevenson spent one night here and didn’t really have much to say about the place. Either do I except that it was market day and it was cool (elev. 1000m). 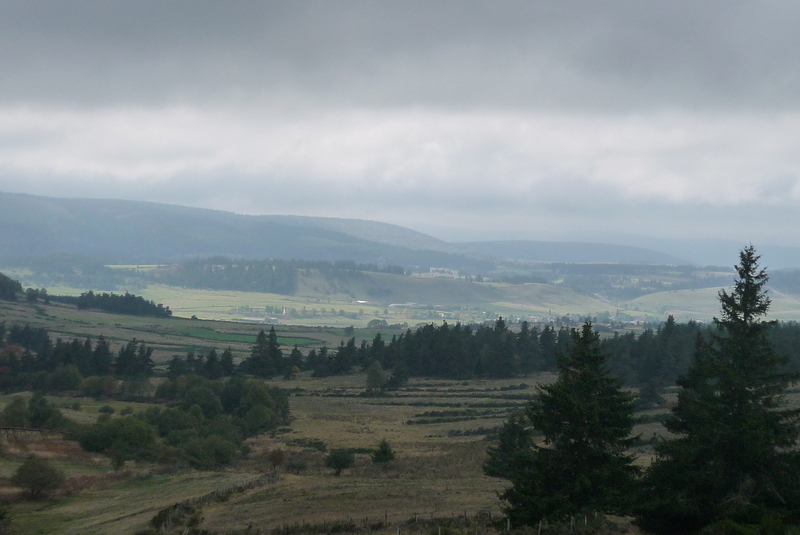 Here is Langogne from half way up the valley on my way out of town. And if the drop in temperature wasn’t enough to convince me I was in another world, the scenery did. Grass and cows, and not a grapevine to be seen. Being a farm boy at heart (and from a cold country to boot), it was a strangely emotional and immediately familiar feeling riding through this landscape. 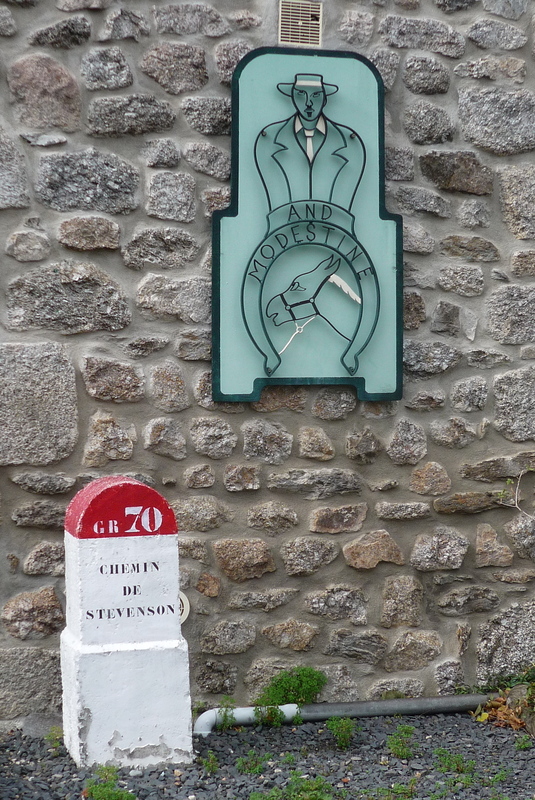 The first village I passed through was Saint-Flour-de-Mercoire, where I got my first taste of the lure (and commercial potential..) of Stevenson in these parts. 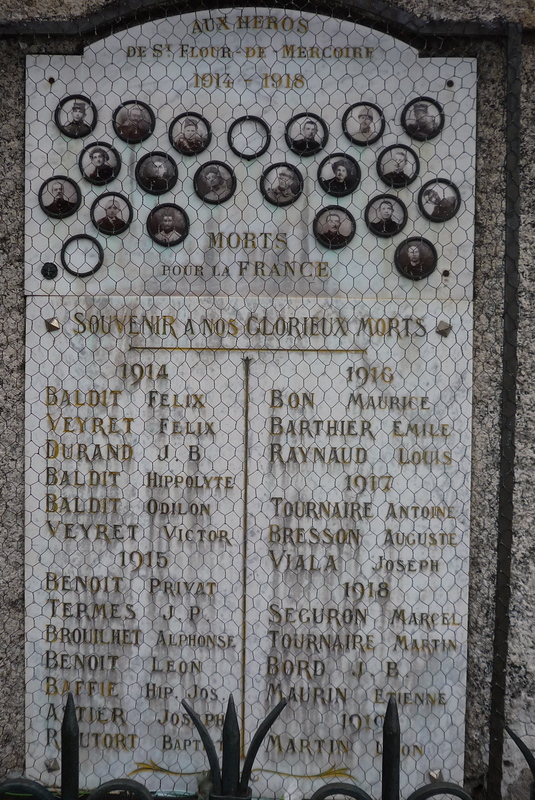 Not too much remarkable in this place, but I found the war memorial pretty impressive. 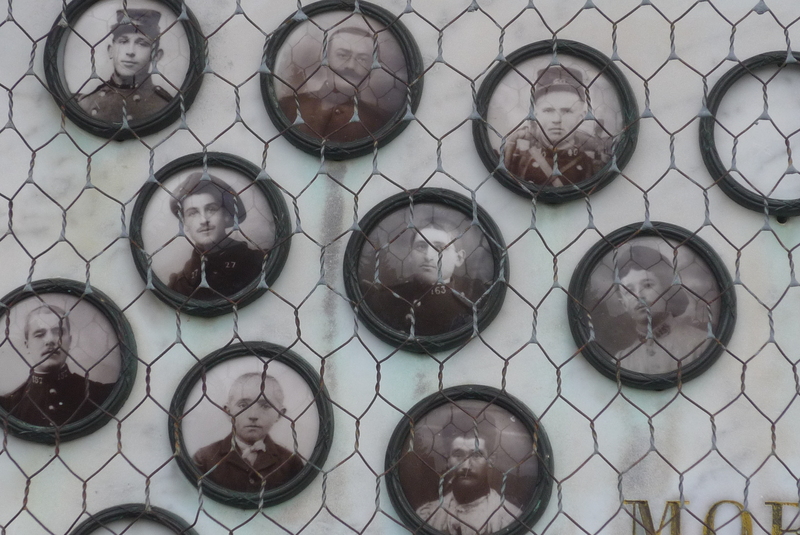 I thought that adding photos of the men killed in the war was a really effective way to personalize the loss. Not just a number, not just a name, even – but an actual face. And for any Montpellierans out there, here’s a familiar face! 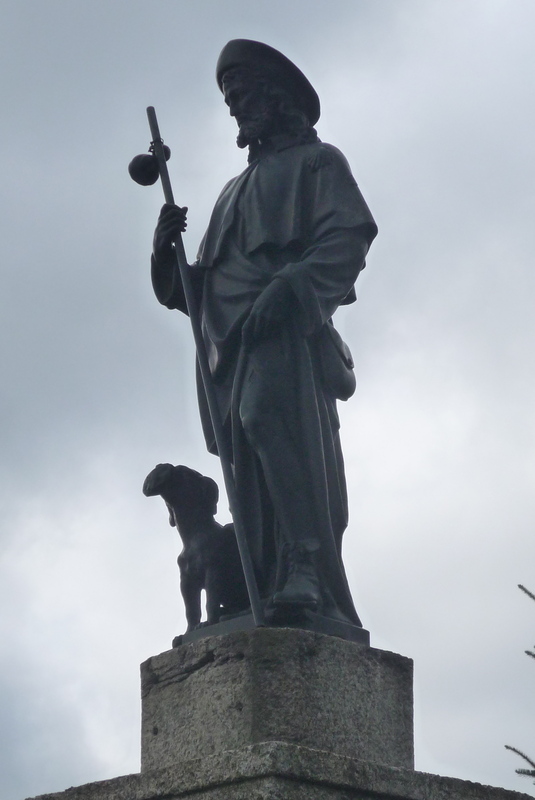 Yep, our very own saucy St. Roch, with his faithful dog and naked upper thigh. 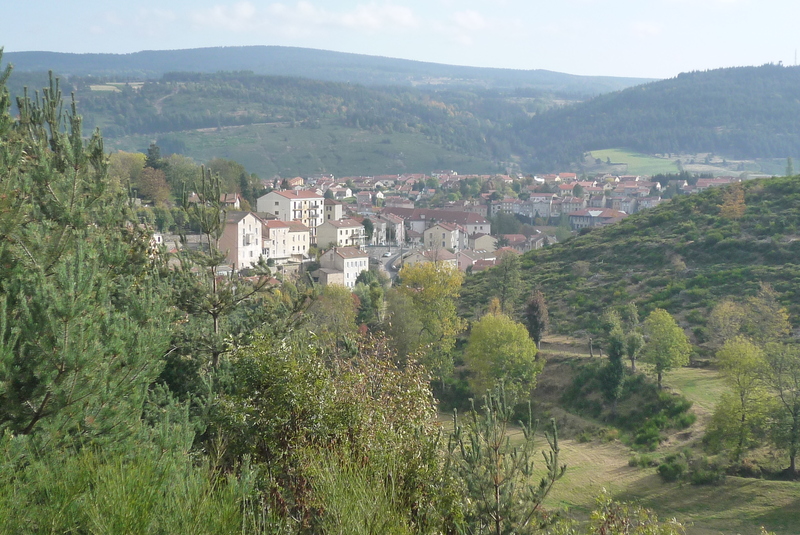 After leaving I climbed up through a little municipal forest, which was absolutely sans voitures and totally tres beau. I found it a little better than he did, but then again, it’s probably because of him that the village is now so nice! Here’s the shrine he is talking about. 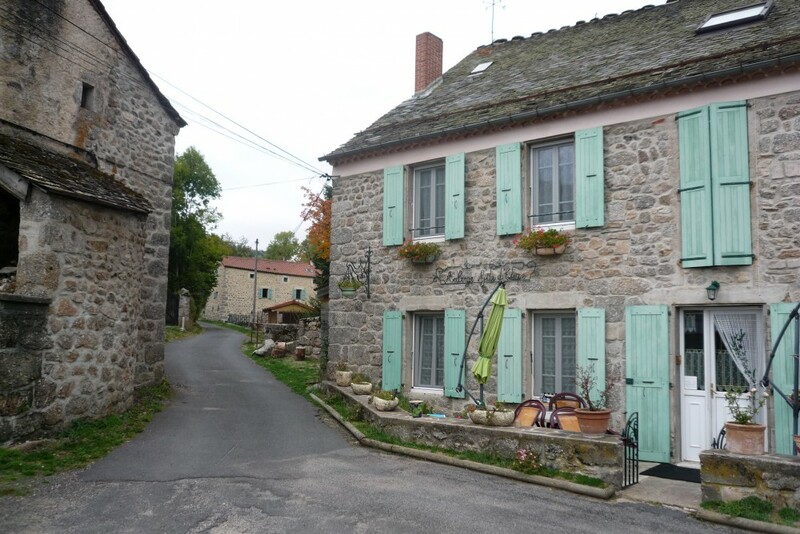 And the gite d’étape that I surely erroneously imagined RLS stayed at when he came through here. And a few more signs that Stevenson is the main draw for this area. After Cheylard I had a choice to either follow RLS down to Luc, or continue up through the forest of Mercoire. And here’s where my map-reading comes to play. 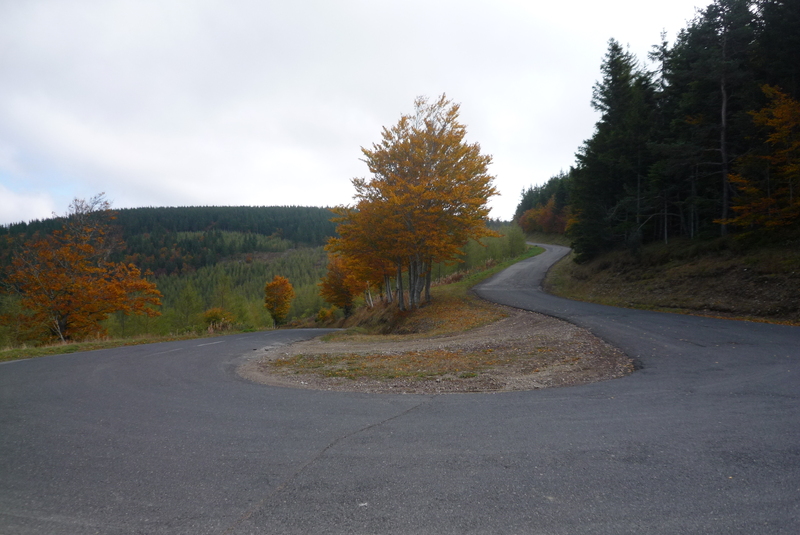 The road up looked too good to pass up, not to mention the road to Luc went back into the Allier valley, where I had started out in the morning. Was it a good decision? I guess I’ll never know, but it sure was pretty. It was a long, wonderful ride up through the forest, and a long, exhilarating one down the other side. 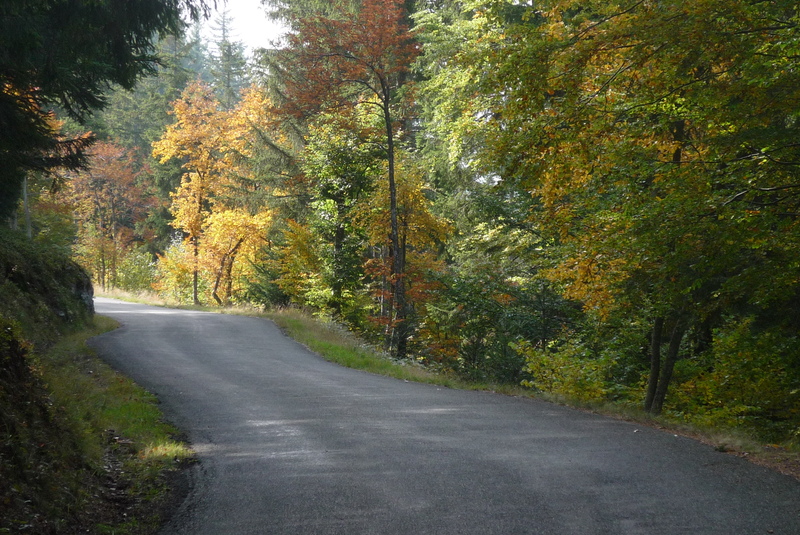 The road opened up and descended into a high plain that was filled with…pretty much nothing except mushroom hunters! After crossing this wide valley I climbed up the other side. 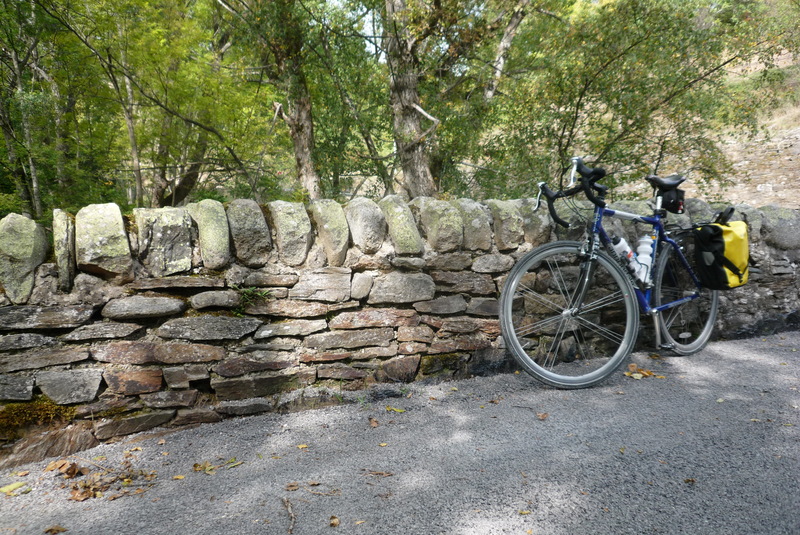 This time on a road with an evil grade, but lots of reasons to stop for a rest and take a picture. The other side of this high mountain brought me to Bleymard, where I caught up with Stevenson for the last time on the ride. 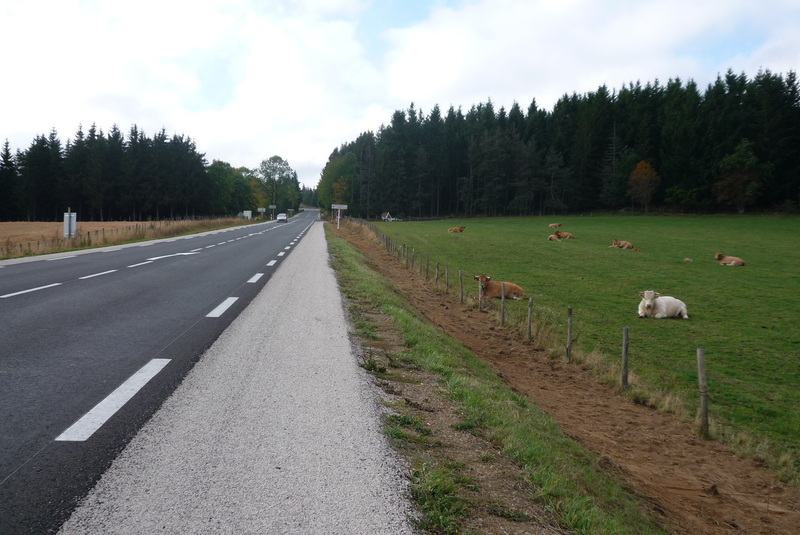 He didn’t have too much to comment on Bleymard, but mentioned the road I was to take down to Villefort, and my train. This ride, I’d like to tell you, would have been the highlight of the day, if it weren’t for the other worthy adversaries I’ve already recounted. 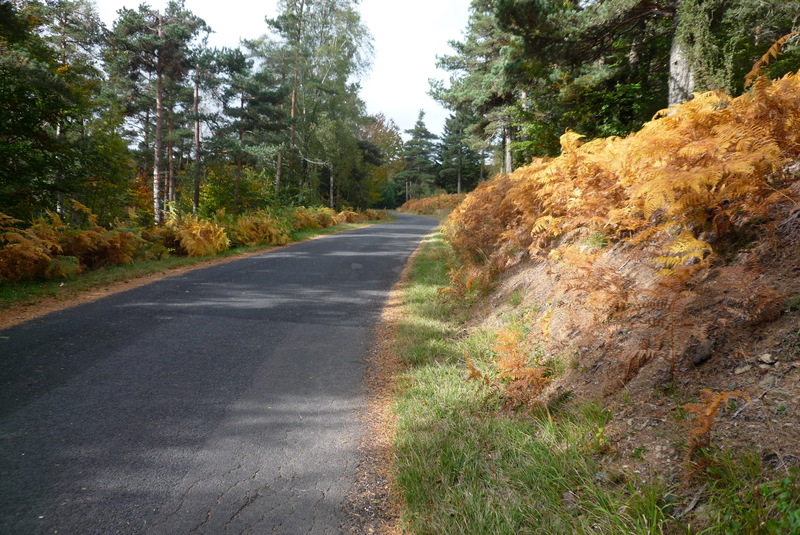 Essentially, it is a 25km fast freewheel that squiggles endlessly along the Allier river. There were hardly any cars, even though it is a main route in these parts, and I got to the train station an hour ahead of time – a superb bummer since the train was to be an hour late! Good ol’ SNCF. This is my 2nd lunch spot along that road. 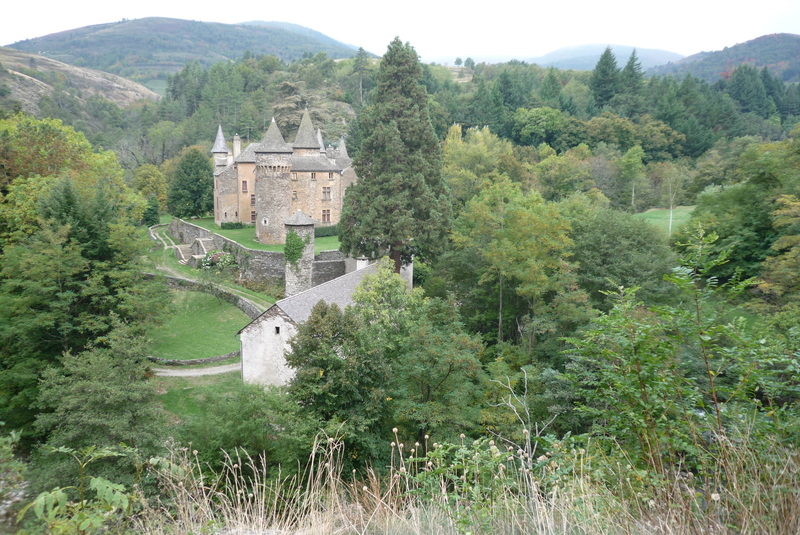 And finally the only thing that could make me stop along that excellent descent – a surprise castle! Does it get any better than this? 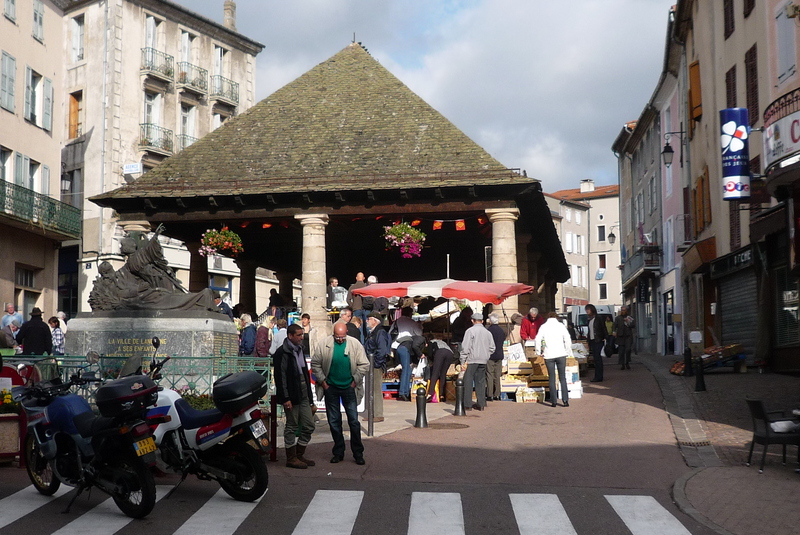 Getting to Langogne: TER (regional) trains leave Nîmes a few times a day. The fare is 20.10€. Check the SNCF site for schedules. Stevenson, Robert, Louis. 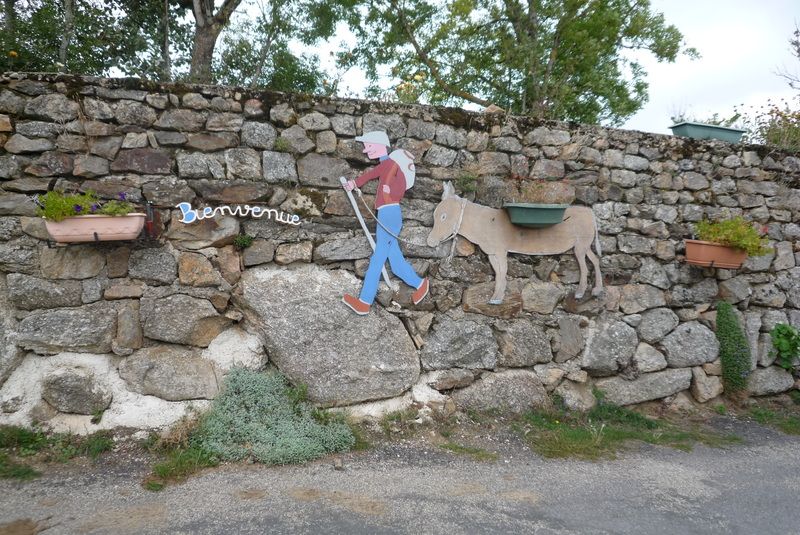 Travels with a Donkey in the Cévennes and The Amateur Emigrant. Penguin, 2004. 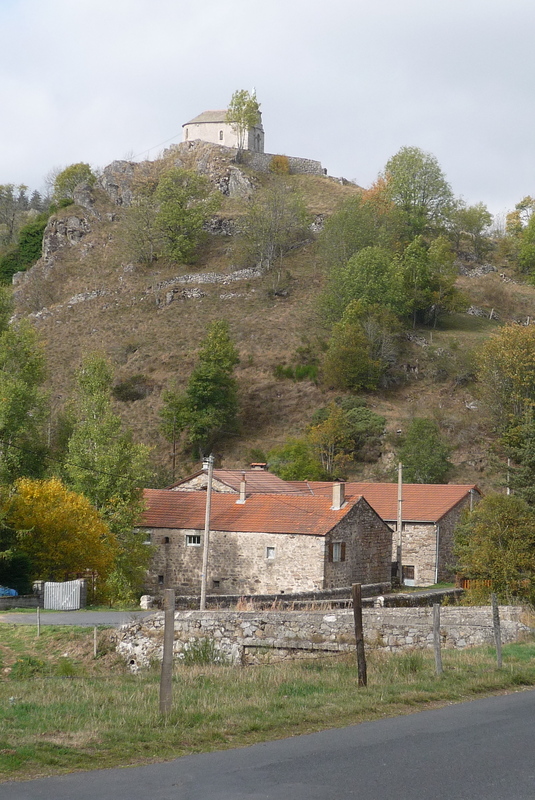 This entry was posted in Cycling and tagged chemin stevenson, cheylard, le bleymard, lozere, stevenson trail, travels with a donkey in the cevennes. Bookmark the permalink. … and where is SHOKO in all this “donkey” adventure…..? ?